Interview by Amanda Katz and Claire Breen. Edited by Spencer vH. Mike Deni of Geographer is a self-identified fan of pop music, ranging from fellow New Jersey native Bruce Springsteen to Justin Bieber, and many artists in between. He doesn’t shy away from his appreciation of pop, nor should he. As the mastermind behind Geographer’s synth-driven indie pop sound, Deni is now in the midst of a U.S. tour promoting his album ‘Ghost Modern’. 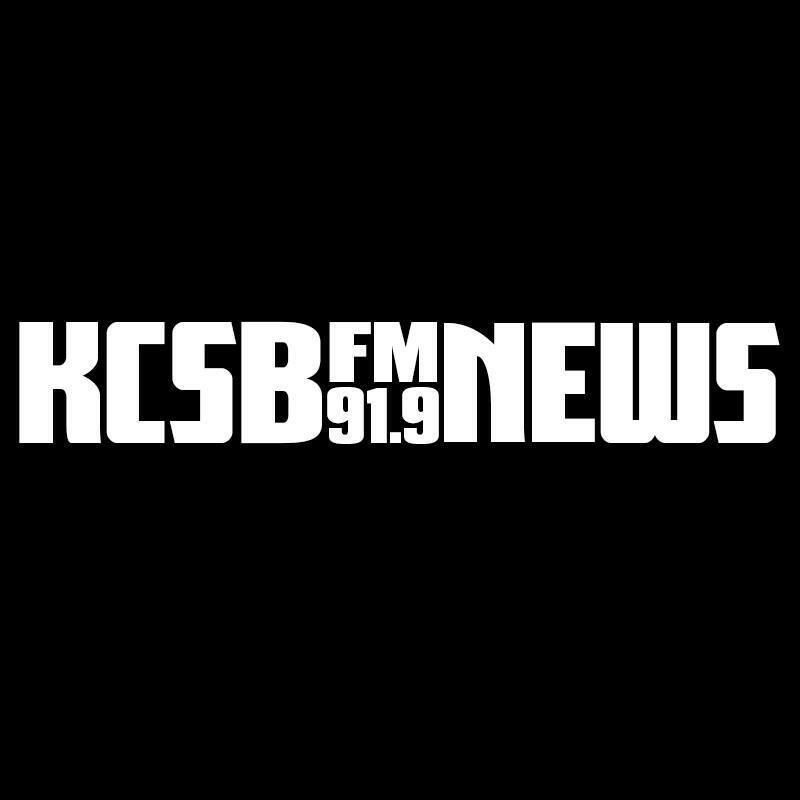 KCSB-FM’s very own Claire Breen and Amanda Katz got the chance to chat with Deni in his Mercedes van as the sun set over downtown Santa Barbara. Amanda: So how’s your tour going? Geographer: It’s going well! South By Southwest was great, but then we hit a blizzard coming out of Denver. And now I’m in Santa Barbara, it’s very sunny out. It’s so strange, that was like a week and a half ago. Geographer: The weirdest part is when you wake up in a pitch dark hotel room and you don’t even know which direction the bathroom is because you just came in at like 2AM. I can barely figure out which side of the bed I’m on, let alone what city I’m in. Amanda: A lot of bumping into walls I assume. Amanda: What has it been like creating your most recent album ‘Ghost Modern’? Geographer: Making it was a real challenge. I really pushed myself for this one. Basically it was me realizing I could do whatever I wanted, I just have to do it, you know? And not worry about whether it’s good or not until it’s time to worry about that. I was really influenced by 1970’s music from Southern California, especially Silver Lake, like Jackson Browne. You can hear a little bit of that in the songwriting, not necessarily the production. Amanda: So, I’m curious since there are all these new instruments you’ve been experimenting with, how has that translated into how you do your live show? Has that changed at all? Geographer: The live show’s changed a lot. I expanded the instrumentation so now I have an additional electric guitar, and an additional keyboard player. Well, it’s the same guy, but, two additional instruments. Oh, and he plays the bass too. He’s really expanded my palette, so now I don’t have to do all the guitar work or the keyboard work. Now I can be more thoughtful with what we do on stage. So there’s a lot more movement and the songs breathe more. For the first time in the history of my performances the songs are different every night. Not very, but enough that it’s exciting for the band and I think that excitement translates to the audience. Amanda: I really like the idea of the band having fun with it, because I think the audience really feels that energy. When you’re doing this huge tour, how do you keep it fresh every night? Geographer: You can always do better, so you’ve got that on your side. I could always feel less self-conscious on stage, or lose myself more. That’s always the struggle, to pretend you’re alone. That’s where I want to get to. Amanda: So you’re based in the bay area now? Claire: I’m from the Bay Area too, and I watched your most recent music video for Ready to Wear, so many quintessential Bay Area shots! I’m curious how the Bay Area has shaped your sound? Geographer: My music is very sweet. It’s very vulnerable. It’s not tough. It’s just my feelings really, ya know? I like to make people feel good and I like to make people dance with my music so I’m not really hiding behind too much artifice. I also think that’s something San Francisco gave me the strength to do. You don’t have to worry about what’s cool or worry about what people are going to think. You just do what you want to do and then say like “Oh you don’t like it? Well I don’t care,” which is probably the hardest thing to do. Claire: This is just the beginning of a nationwide tour. Is there anything you’re particularly looking forward to on this tour? Geographer: We’ll be playing New Jersey for the first time ever, which is where I’m from. Claire: Wow that’s surprising that it’ll be your first time playing New Jersey. Geographer: I mean I played like a coffee shop in high school, but I wasn’t Geographer then. One of my heroes is Bruce Springsteen. He made his bones in Asbury Park, so that kind of tickles me. Amanda: That’s cool. So I’m curious what you’ve been listening to lately? Geographer: My favorite kind of music is pop music that matters. Because a lot of pop music is cool and it sounds great and it’s fun, but it almost makes you feel bad about yourself in some way. It’s kind of like advertising, like advertising gives you a disease and then it gives you a cure. I think pop music does the same thing. I do think it’s brainwashing a lot, even though I make it, I try not to contribute to that brainwashing, even when I write a song for someone else. But I feel like particularly with women, pop music gives off a vibe that it’s a man’s world and that a woman should do whatever a man wants. And these songs are being played to little girls and they are learning from it whether they know they are or not. If you can tap into something a little more human, like a lack or need that’s real that’s just inherent in the soul, then you have a real song on your hands. Because Paul Simon is pop music, the Beatles are pop music. Amanda: I love the idea that pop can be fun, and you can have a good time, but it’s more than just eating cotton candy, and you don’t get any nourishment from it. Geographer: That’s good, I really like that. Because you can be blown away by a balanced meal, you know? Geographer: Because all this stuff has power. All these things that we shove into people’s brains, but I feel like I’m just really excited about what’s going on in pop music nowadays. Like, that Bieber stuff is so good. Claire: It’s really good I love Justin Bieber. Geographer: I love it so much yea! Claire: I’m a Justin Bieber fan and I don’t care who knows. Geographer: Everybody loves Justin Bieber. But, I wouldn’t say that I’m a Justin Bieber fan. I’m certainly interested in his brand. I’m a fan of the way his music sounds, and the way his vocal performance sounds. I’m really interested in the production. It’s just so cool that you can put an Aphex Twin song on the radio and it goes to #1. That’s a world that I can live in. Amanda: I’m curious. How has your sound evolved between your last album, ‘Myth’, which was released in 2012, and your most recent, ‘Ghost Modern’? Geographer: I feel like my sound has evolved even since releasing ‘Ghost Modern’. I was listening to a lot of Grizzly Bear, a lot of Radiohead, some pretty strange music. But I don’t know if that’s really what I’m put on this Earth for. I think I’m put on this Earth to write exciting pop songs. We’ll see. I’m still discovering what I’m put on this Earth for. Claire: Aren’t we all always?